Lynn M. Cohen focuses her practice in the areas of civil litigation with an emphasis in business and commercial law, commercial collections, estate planning, elder law, real estate and personal injury. She has extensive litigation experience. Following graduation from law school, Ms. Cohen embarked on a career as a trial attorney, both in plaintiff’s private practice and as senior litigation counsel to an insurance company. Ms. Cohen has represented clients in courts in virtually every county in New Jersey and has argued cases in the Superior Court of New Jersey Appellate Division. In addition, she has litigated matters in Philadelphia and the surrounding counties. Ms. Cohen taught business law at Rowan University and Burlington County Community College as an adjunct professor. She is an active member of her southern New Jersey community. 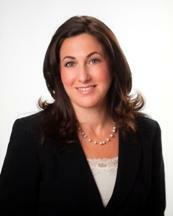 Ms. Cohen graduated from Rutgers University-Rutgers College in 1989. She earned her law degree from Rutgers School of Law – Camden in 1992. DeLage Landen Financial Services, Inc.
American European Insurance Group, Inc.